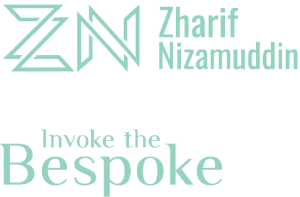 At Zharif Nizamuddin, we understand that conveyancing transactions are complex and diverse and as such we offer comprehensive advice to buyers and sellers of all types of properties. Our lawyers are highly qualified and skilled in managing all areas of conveyancing transactions. Our clients are assured of completely personalised legal support in tune with their unique requirements. The sale and purchase of a property can be time consuming and tedious as the practice area revolves around a wide range of transaction document, depending on the situation described by the client. There are different requirements for the sale and purchase of a first residential, commercial and industrial property, to sub-sales, loan and refinancing, perfection of transfer and charge and transfer of property based on love and affection. At Zharif Nizamuddin, our lawyers will ensure you receive the highest standards of professional service so you can be confident that the entire transaction progresses as smoothly as possible. We also pride ourselves in keeping updated with all of the recent regulatory, orders and legislative updates that change from time to time to ensure that our clients’ interests are protected.